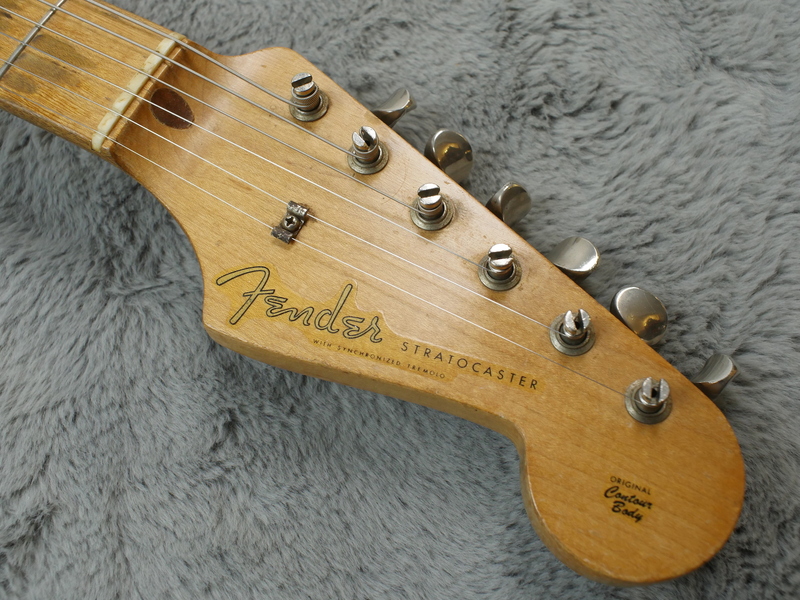 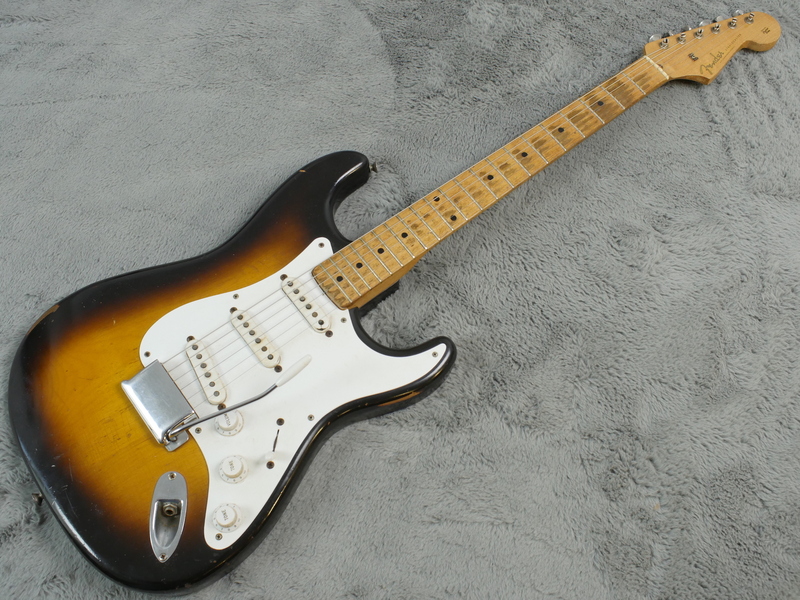 On the 7th May 1967, Eric Clapton walked into Sound City in London and bought a Fender Stratocaster that started an iconic associaton. 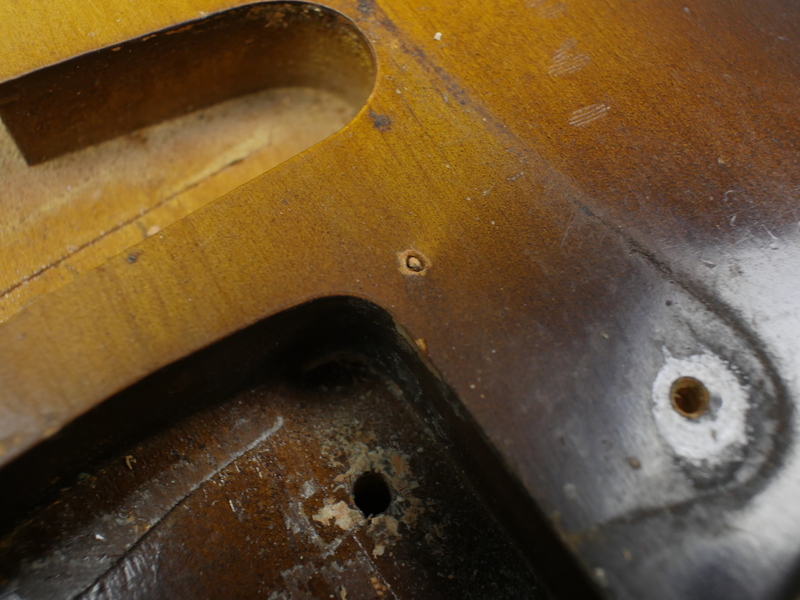 11 years ealier, Xavier Armandez was putting signing his initials onto both the neck on its journey through the Fullerton factory. 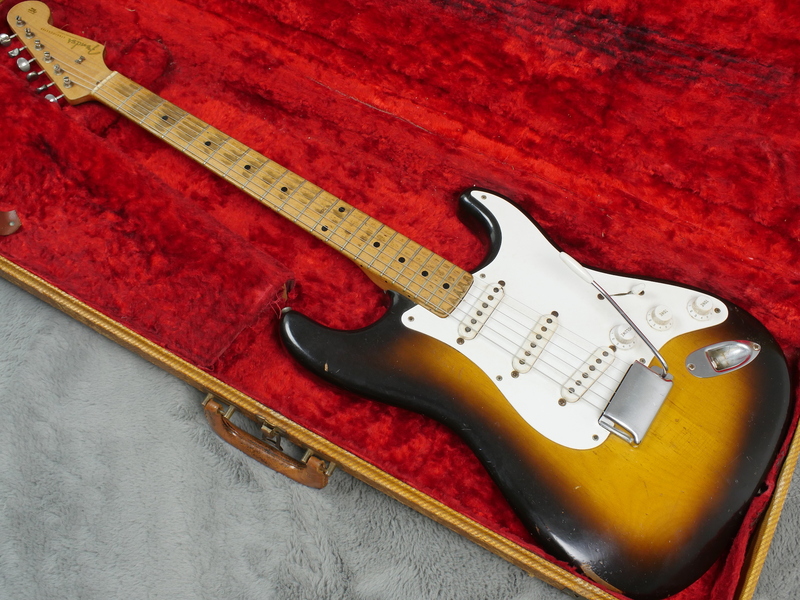 In that very same month, June 1956, he had his skilled hands sculpt this very guitar. 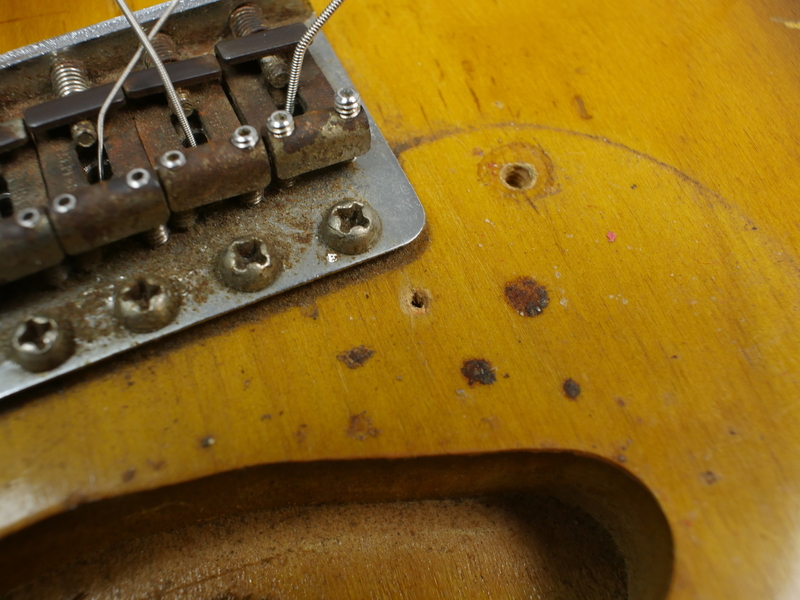 The body too has a date marking of 6/56 which is exactly the same as Brownie’s so if you do seek your very own Brownie, this is probably as close as you will ever get this side of half a million dollars. 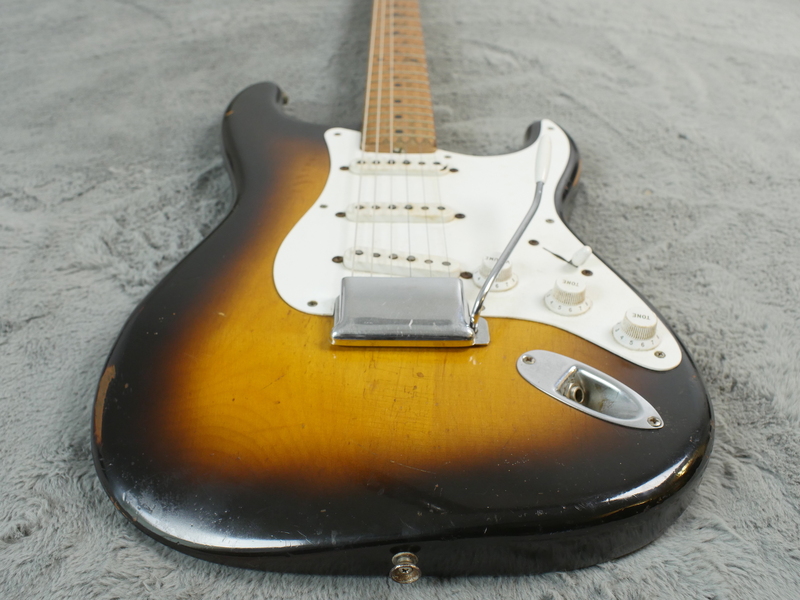 This guitar is certainly not immaculate but what could be described as a well loved state. 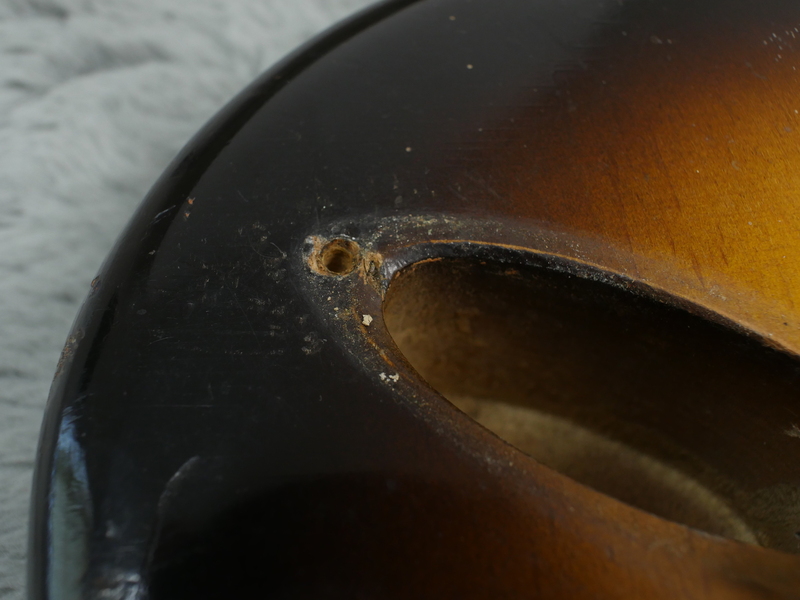 There is wear in all the right places with dings and knocks all over the body. 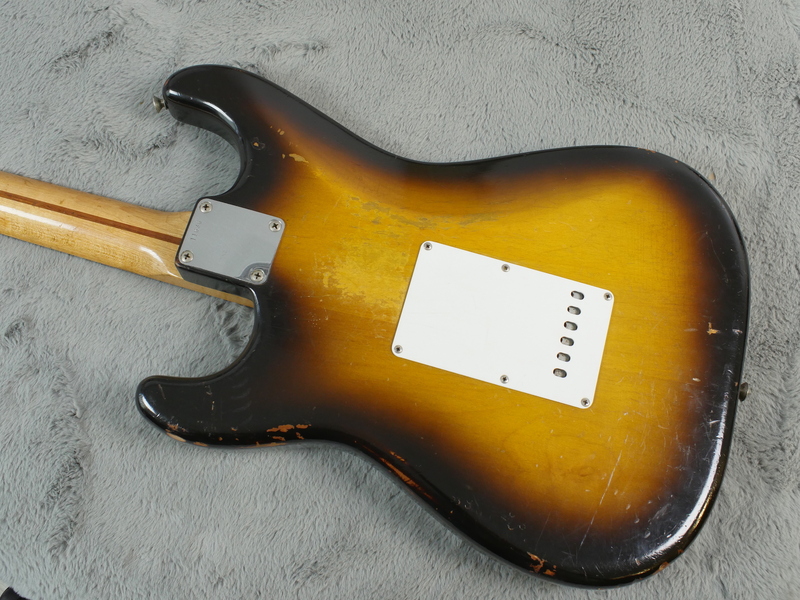 The colour is still strong and the burst is very good showing off the grain of the two piece alder body. 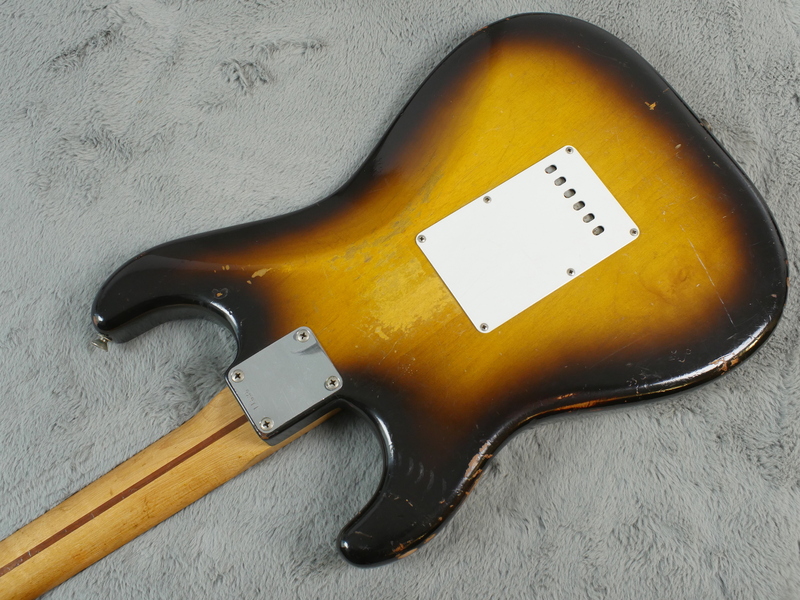 The back is battle scarred but not too heavily. 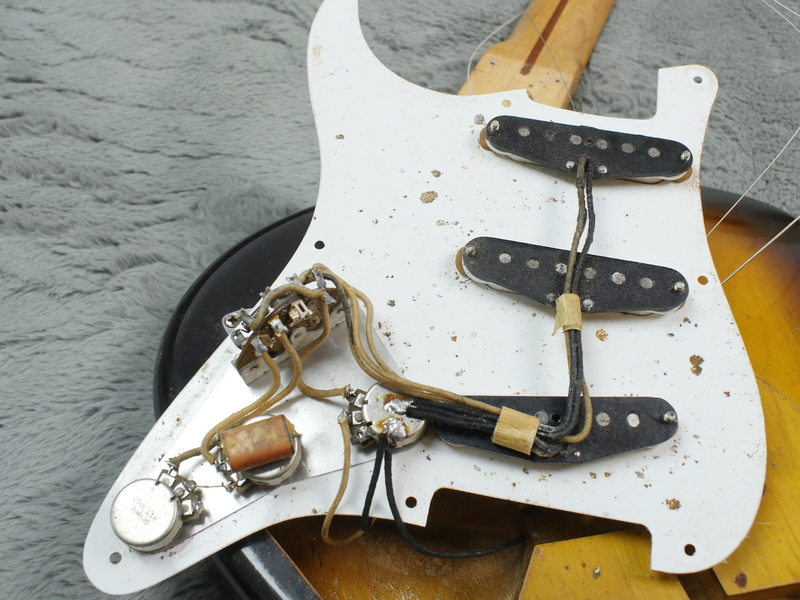 The body shows no signs of modification. 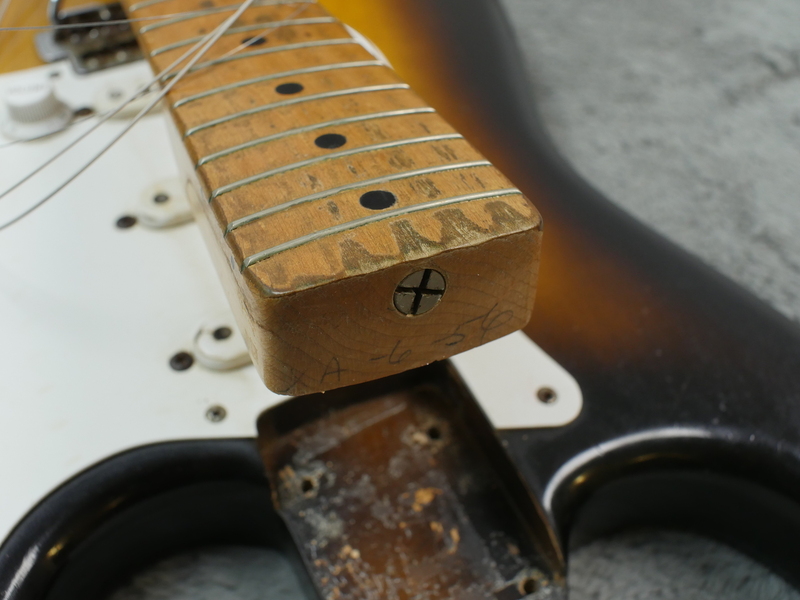 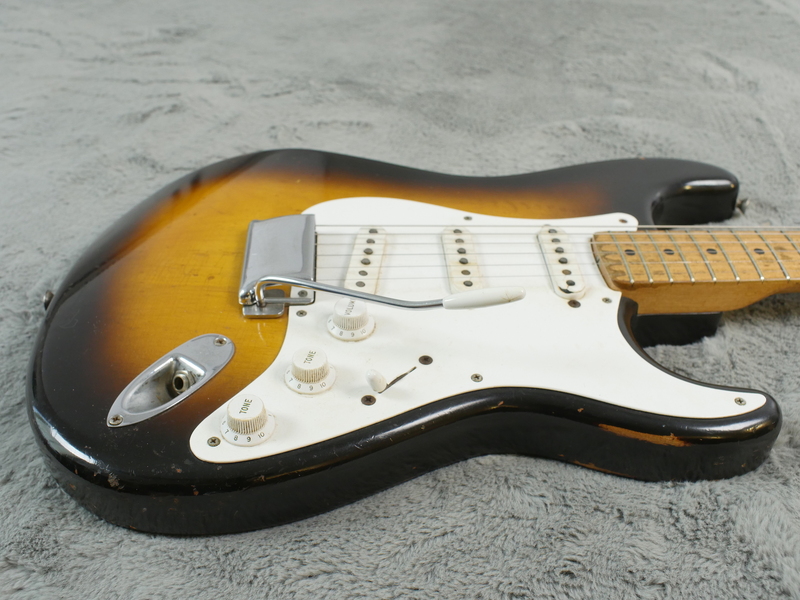 The neck, carved to the clubby V which is so synonymous with theses mid 50’s Strats, has a wonderful worn in feel. 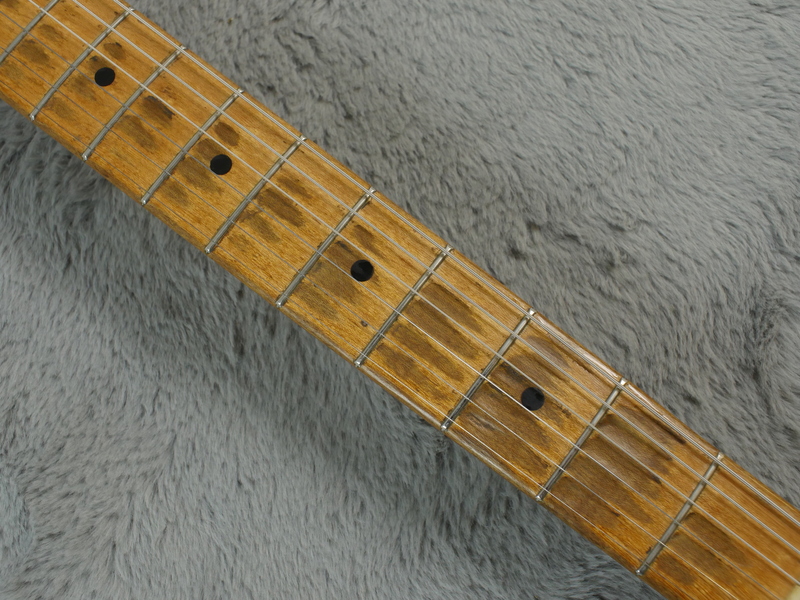 the fretboard is also quite worn with that wonderful ‘musical roadmap’ look. 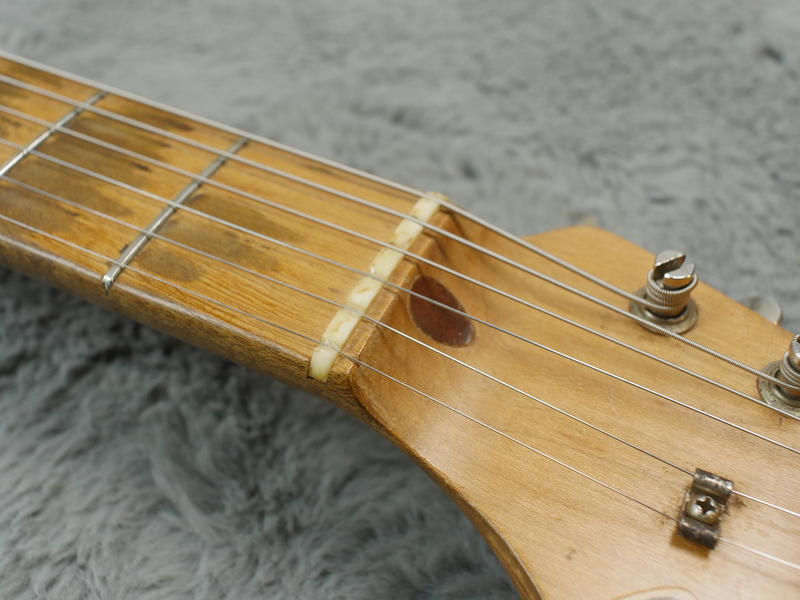 The guitar has had a partial refret, carried out by the Terry Mueller in the US, using frets from another 1956 Fender neck so as to keep it correct. 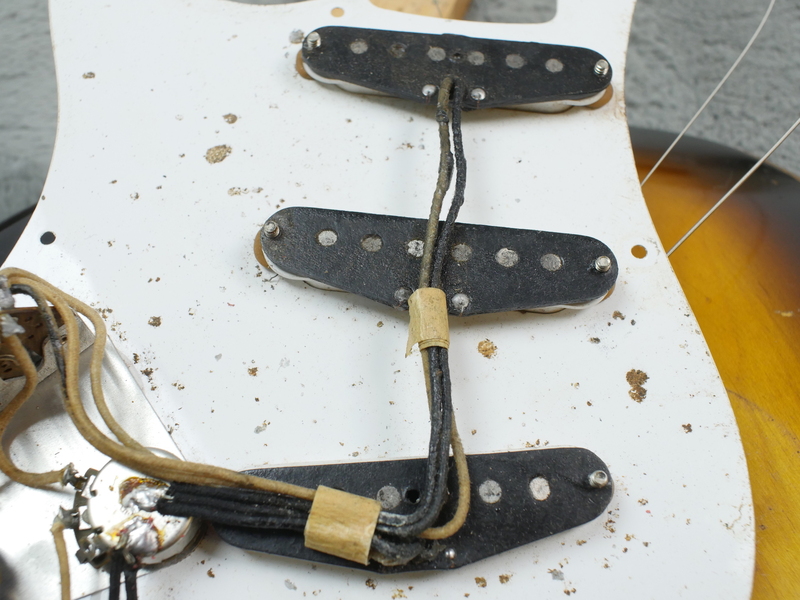 No mean feet I think you’ll agree! 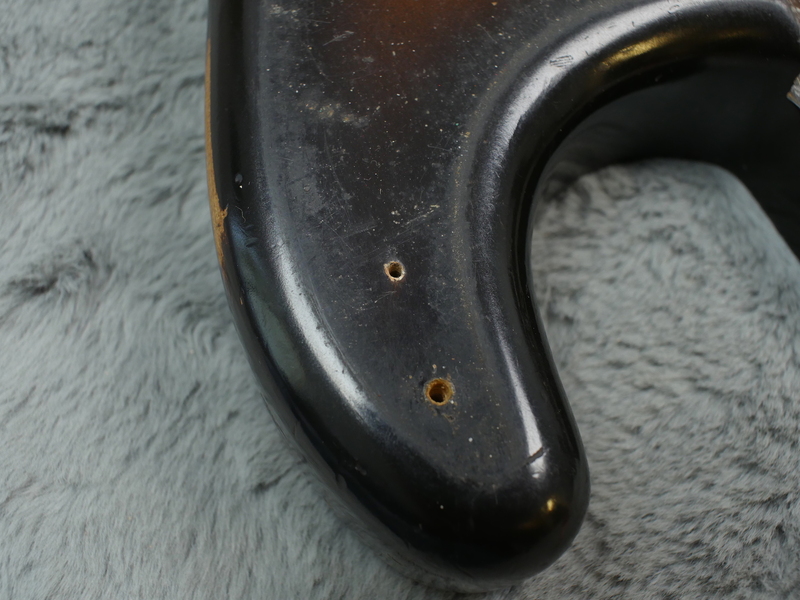 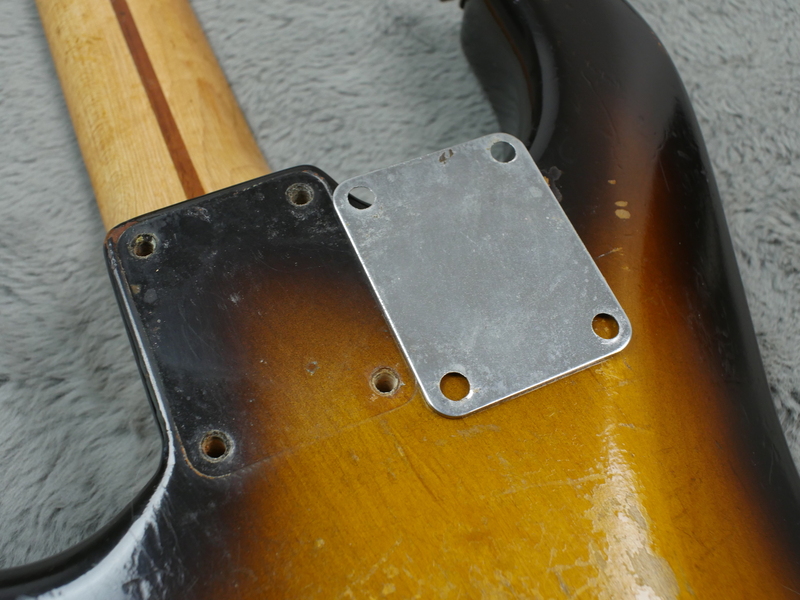 The bakelite plastics are in good shape with only a the neck pickup missing some of the plastic on the treble side. 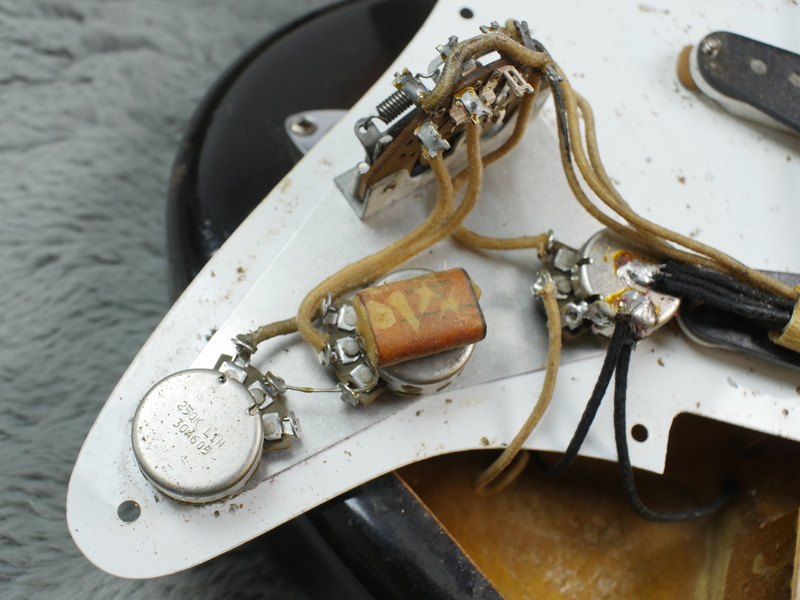 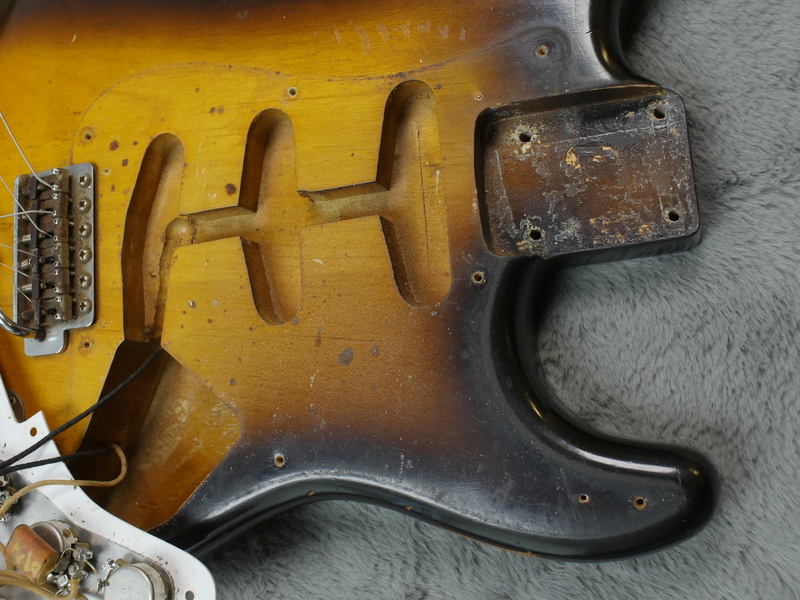 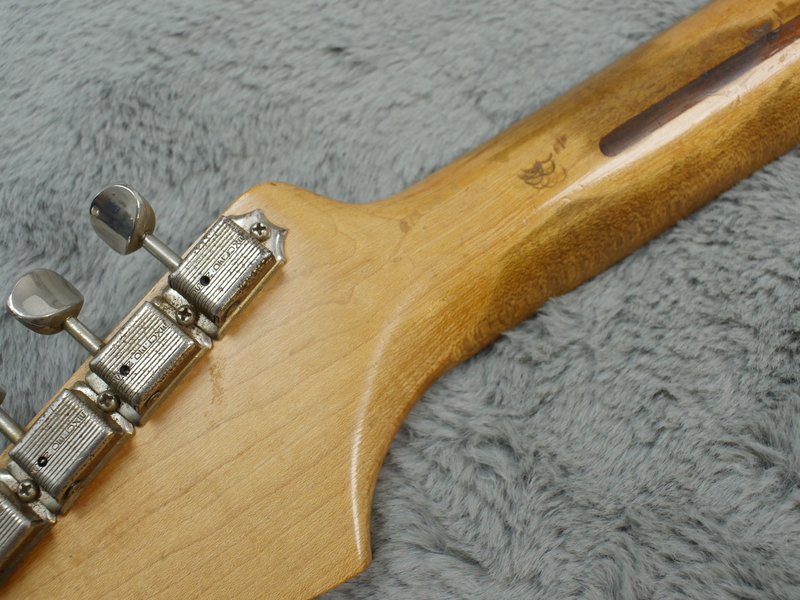 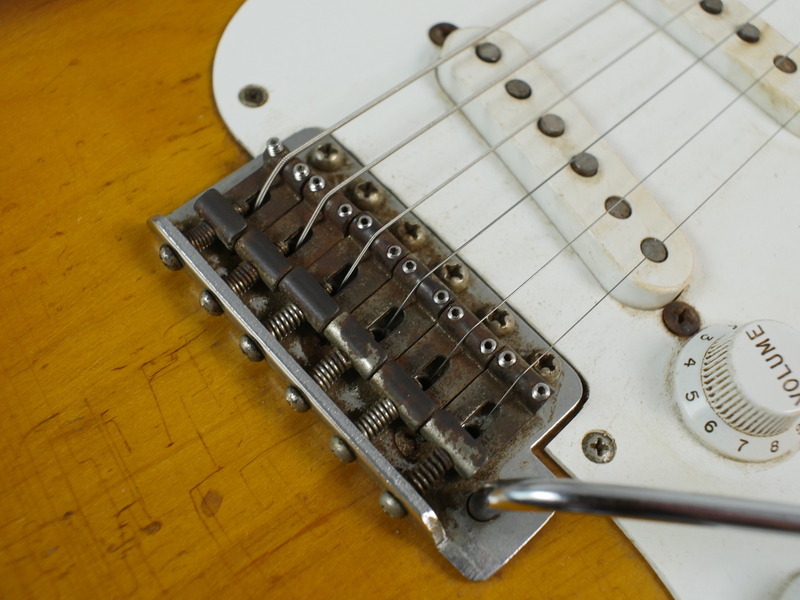 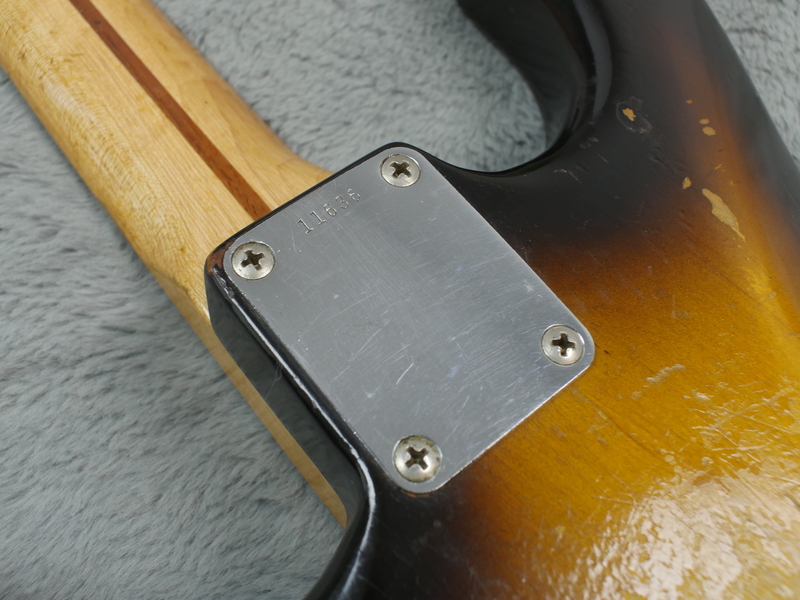 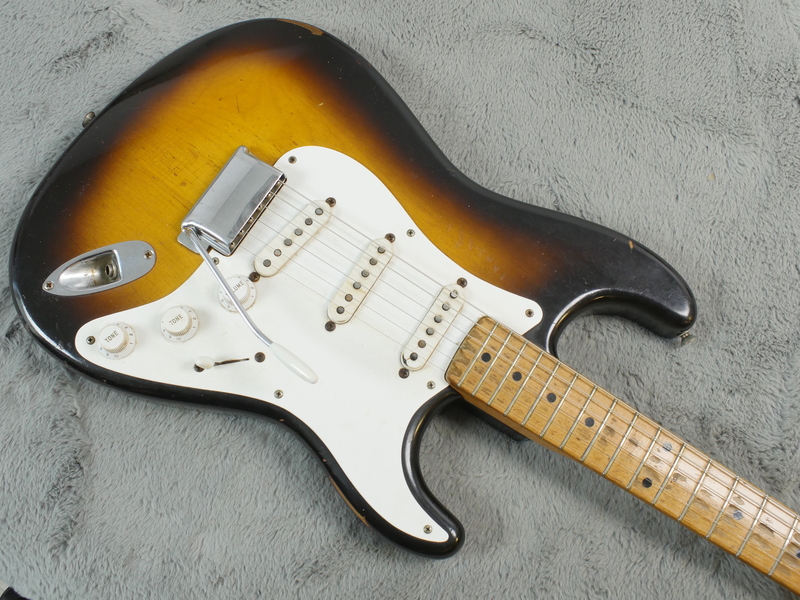 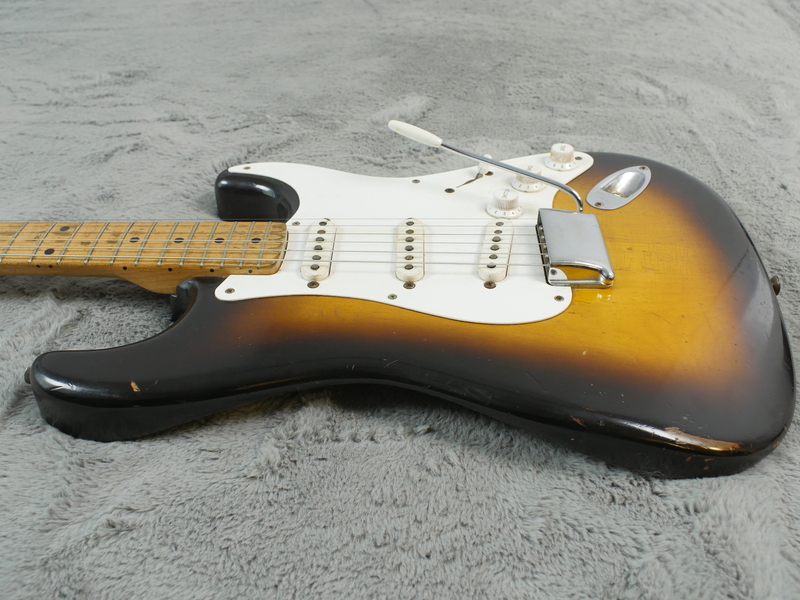 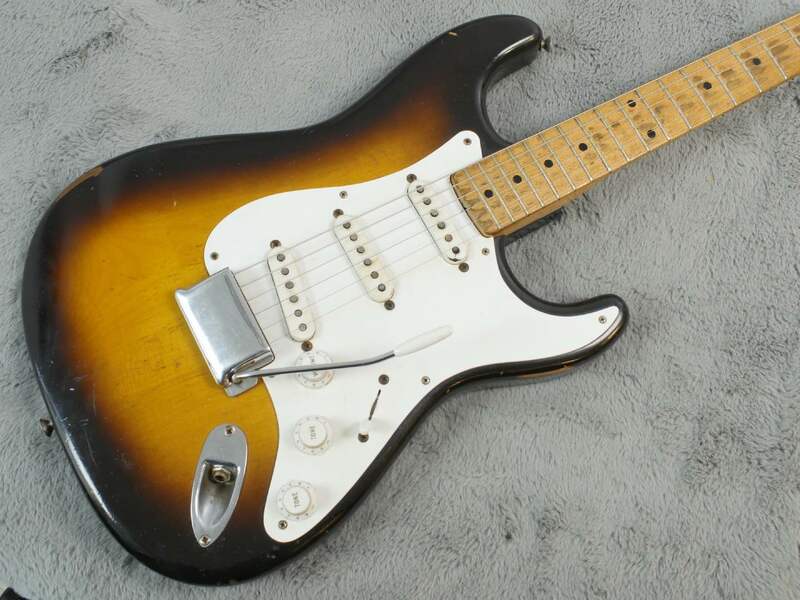 The knobs on the other hand are in superb condition with very little sign of wear as is the switch tip and the trem arm tip - bakerlite parts that are often shattered or lost. 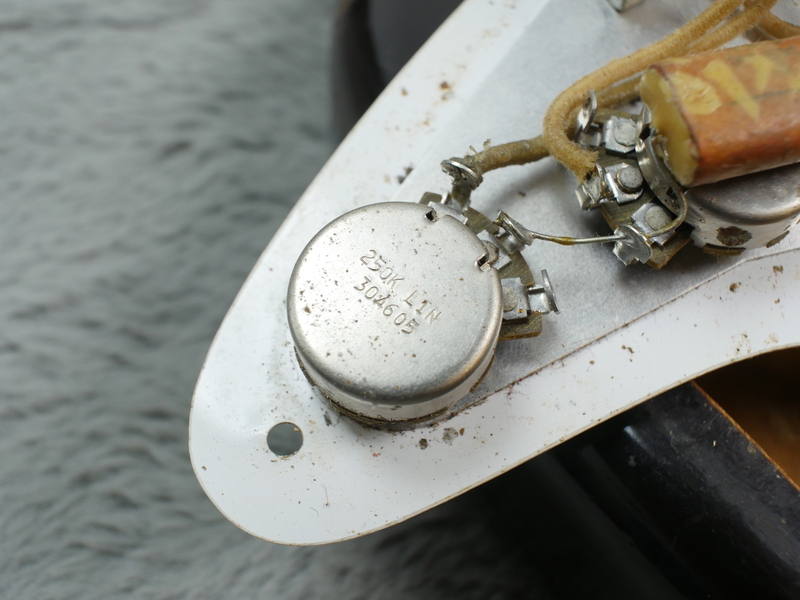 Internally the electronics have remained un touched with pot date reading 5th week of 1956 and all solder joints present and correct and completely virgin with no alterations whatsoever. 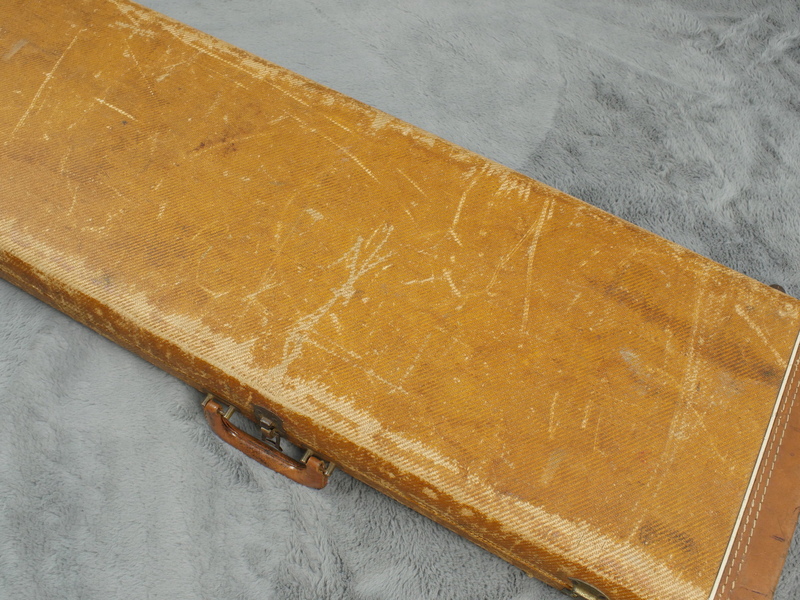 The guitar comes with its correct Tweed, Koylon hardshell case with the internal badge still present. 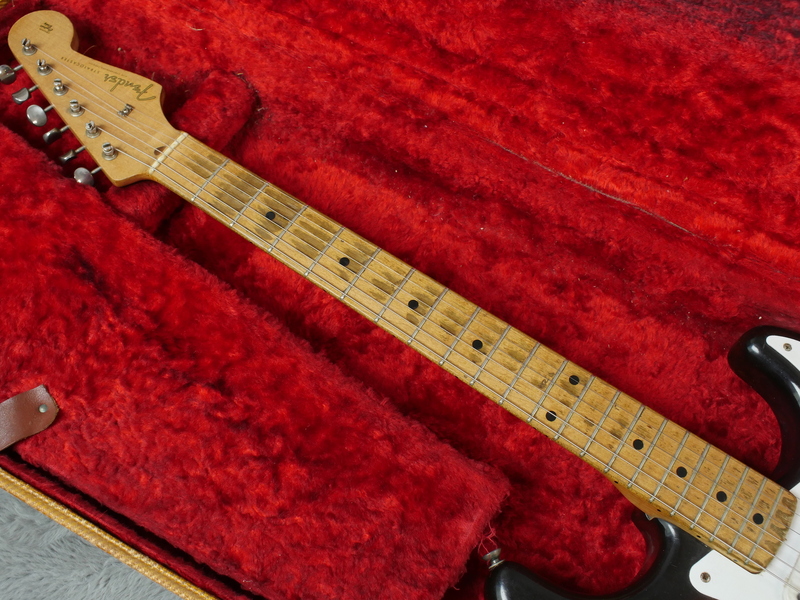 These 50’s Strats are quite special and have a sound of their own. 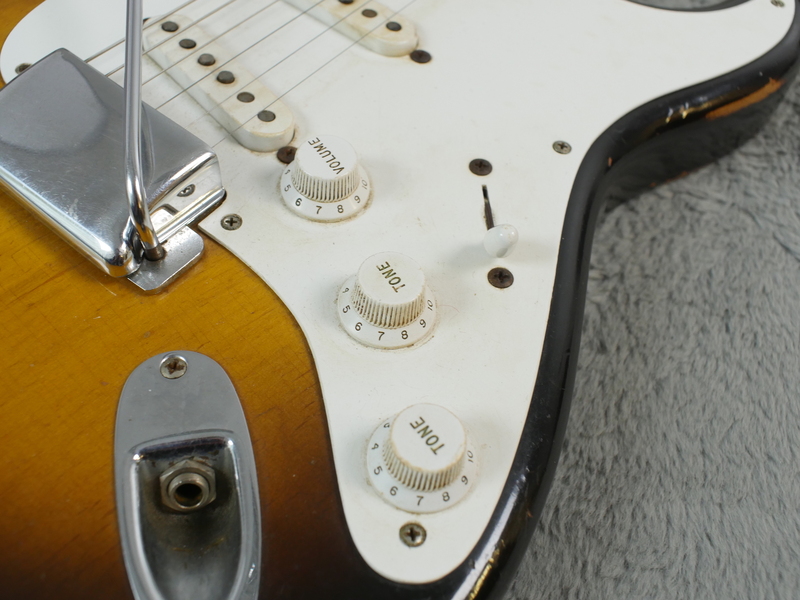 Unplugged the guitar is lively with a pleasantly bright tone. 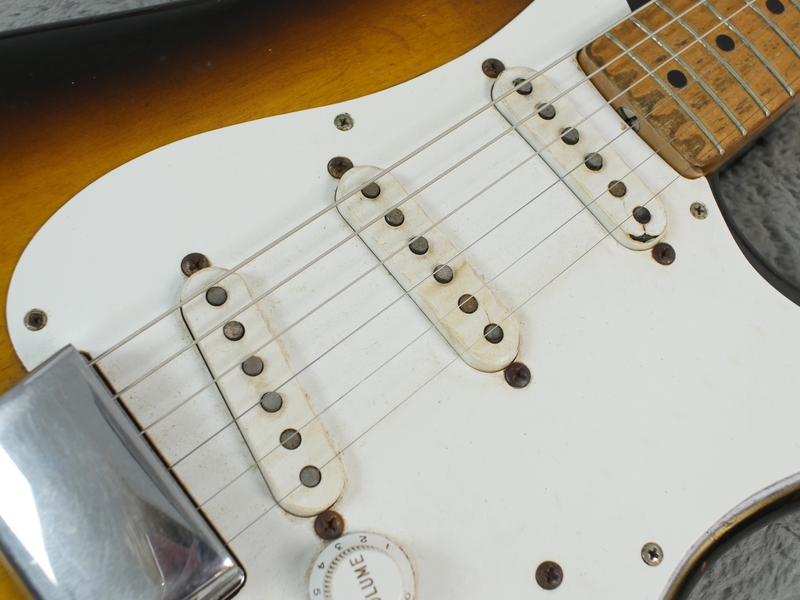 Once plugged in the guitar yields a wide range of tones all with a smoothness delivered by the black bottom pickups. 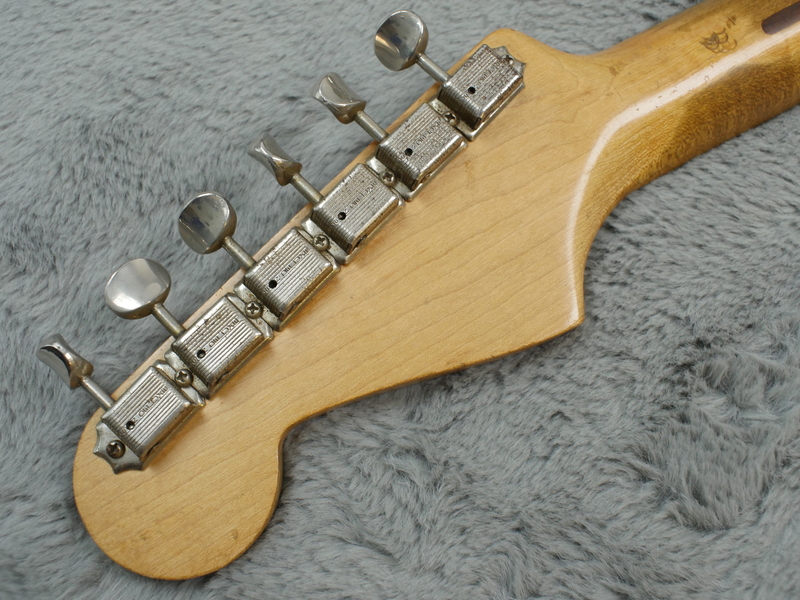 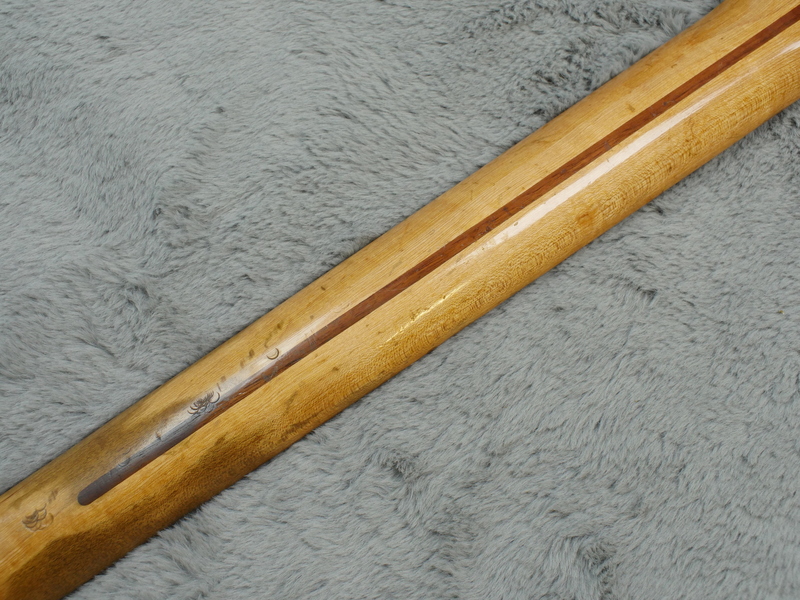 The neck feels comfortable and is a joy to play. 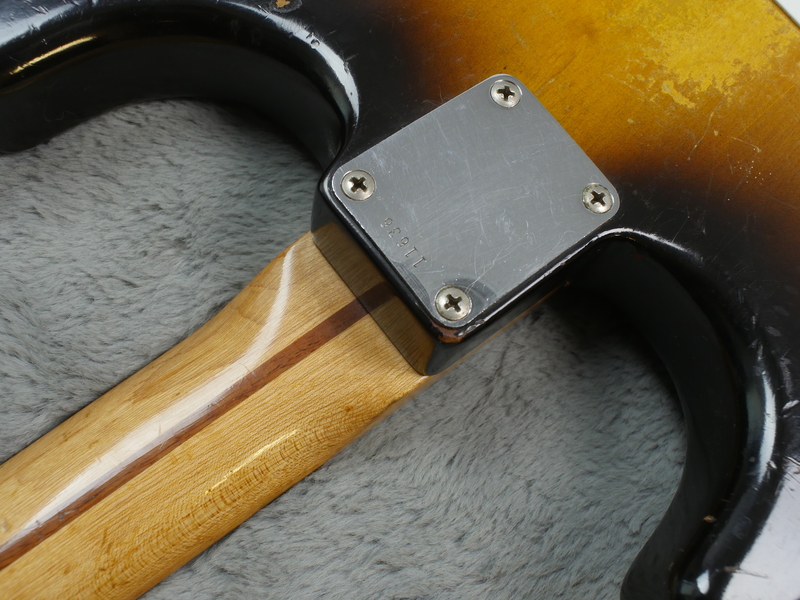 Neck, being the classic chunky V shape is a joy to play and is the archetypal feel that the Custom Shops try to emulate. 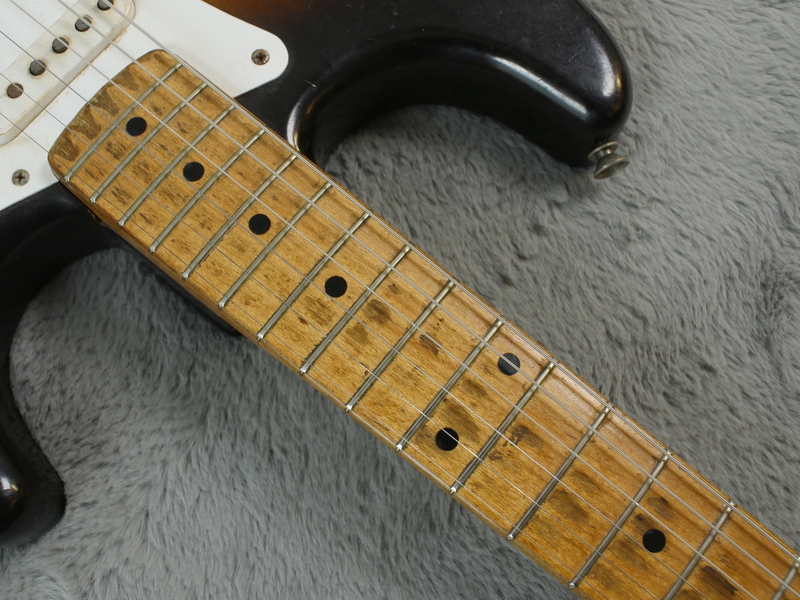 Action is really nice and although there are obviously some wear marks on the fingerboard that give it plenty of character, thanks to the expert and undetectable partial refret it plays brilliantly well. 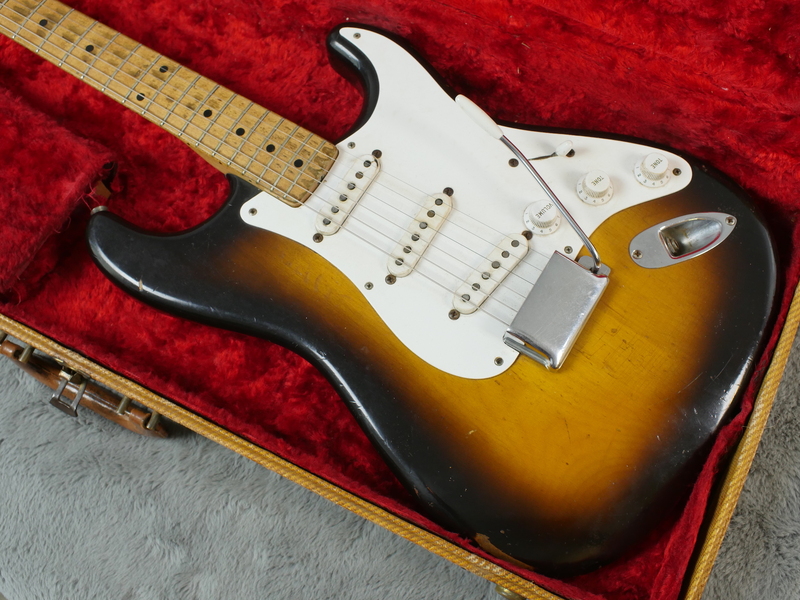 Regardless of the Brownie connection (which is very cool! 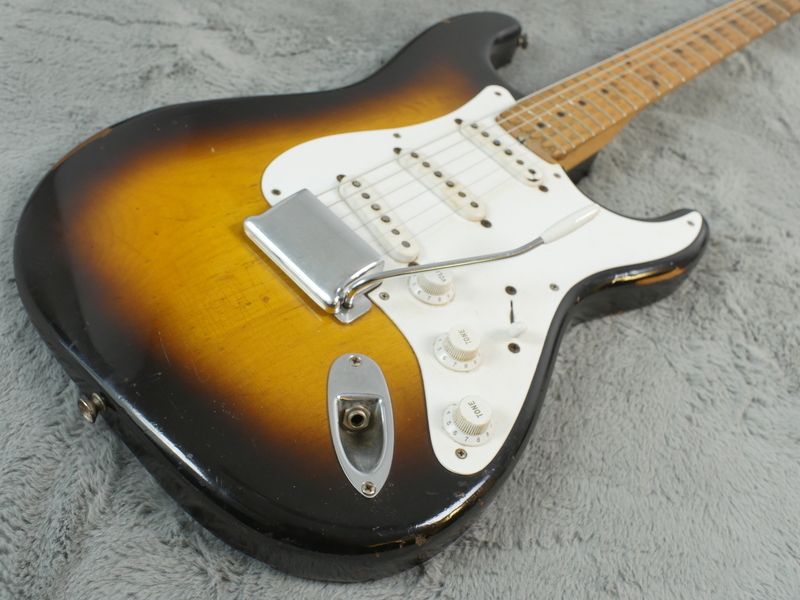 ), this guitar islet another example of the amazing work that was coming out of the Fender factory and is testament to why they are still held in such high regards 60 years later.